cookie time | eat. play. sleep. 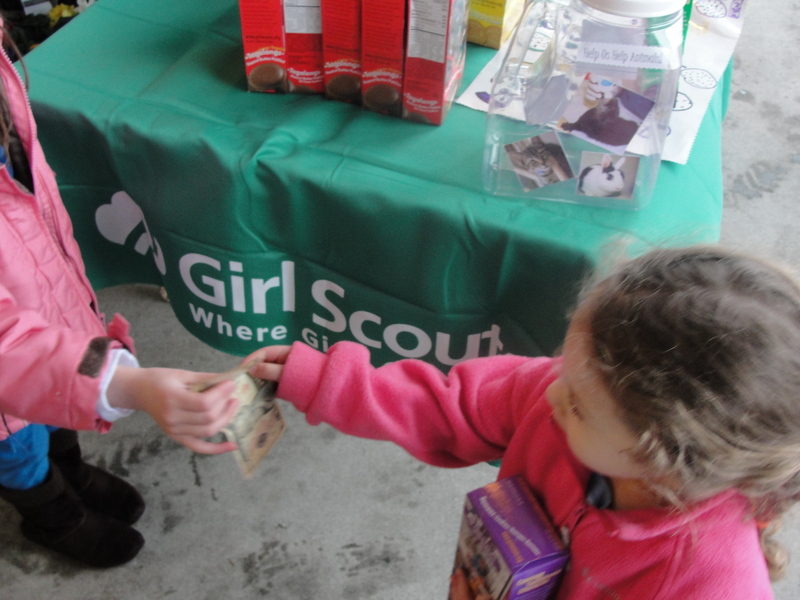 Last month, we wrapped up our troop’s cookie sales (where we reached our goal of raising some money to help out a local animal shelter!). 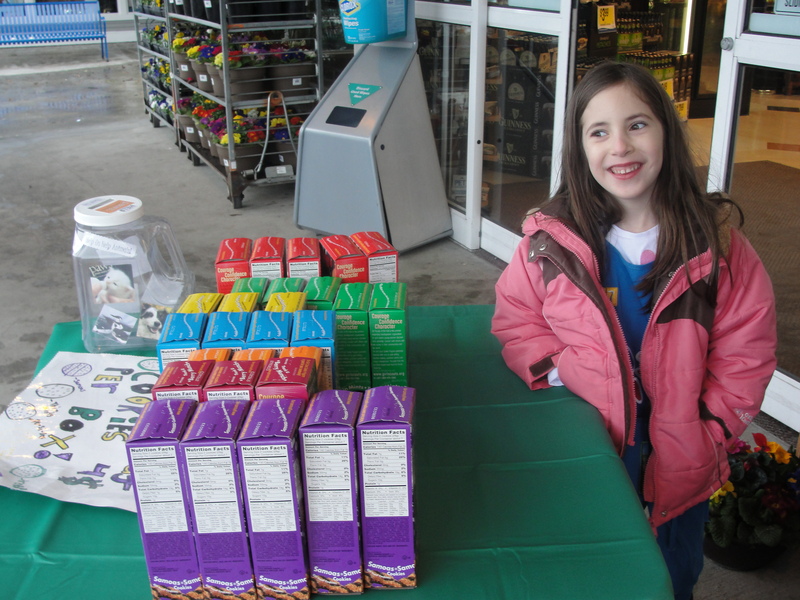 The girls had so much fun selling, and Ava had tons of fun at the booth sales. 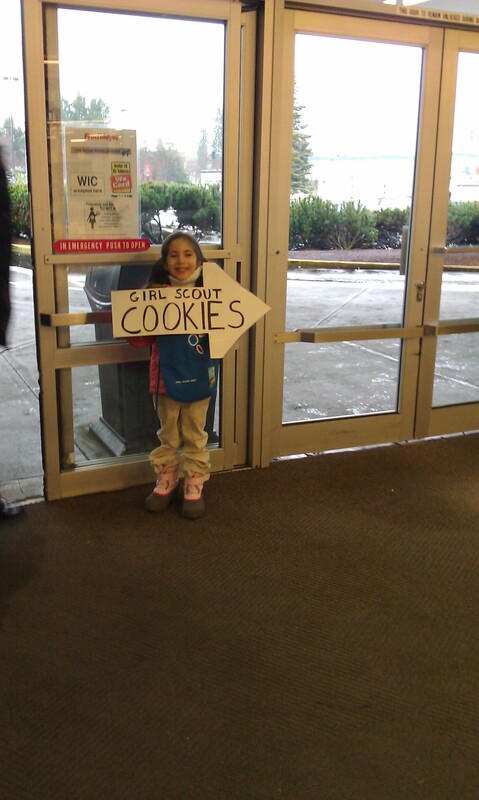 Emily was SO excited to buy cookies from her sister and took the entire transaction extremely seriously ;-). 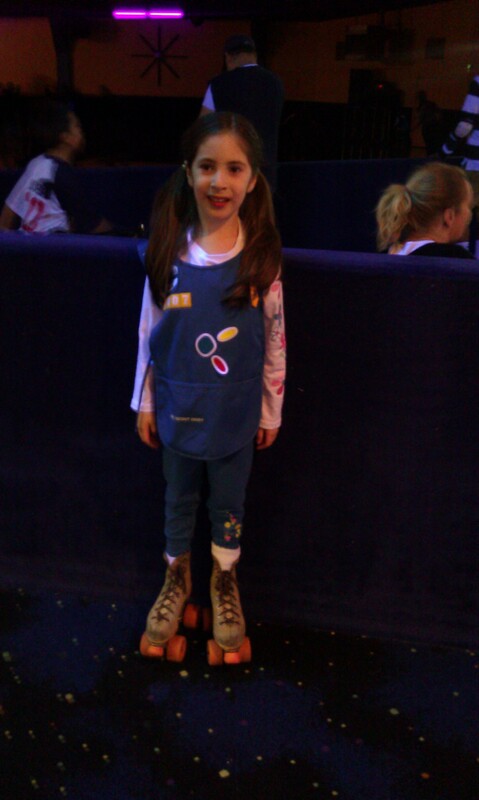 The girls earned a night of roller skating with their cookie money – great job, ladies! !